These women are motivated to reach new heights and continuously hone their physical abilities. They perform amazing feats of strength, while the crowd only looks on in awe and cheers along as they outperform the competition and give their male counterparts a run for their money. TAll of these women are not restricted by traditional norms of beauty, but that doesn’t mean they aren’t wowing crowds and turning heads whenever they show up. Here are four ladies who make an impact beyond the sports arena. The professional racing driver became one of the most successful women racing ever. In 2010 Danica joined NASCAR, and over the course of the eight years that she drove for them, Danica never won a race, although she broke several records, including having the highest finish by a woman at both the Indianapolis 500 and Daytona 500. In 2018 Danica retired from motor racing but not before competing in the 2018 Daytona 500 and the 2018 Indianapolis 500. It is her life off the racetrack that has become the center of attention, with making dazzling endorsements and commercials for GoDaddy.com and having fleeting relationships with high profile athletes. 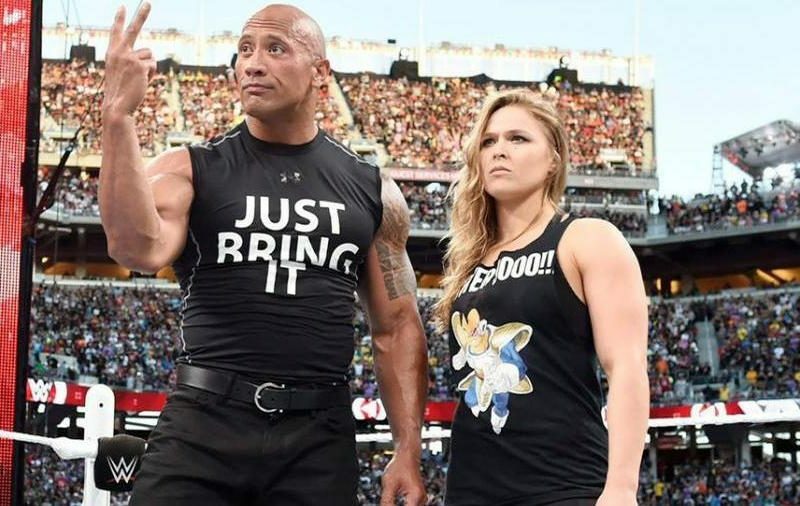 Ronda has accomplished so much in her short career despite only being 31 years old, and we’re not talking about breaking the gender barrier either. Ronda was still a teen when she became the first American woman to bag an Olympic judo medal at the Beijing games in 2008. She carried her explosive energy to the UFC and dominated the women’s division from 2012 to 2015 before eventually retiring after a suffering a couple of damaging defeats. 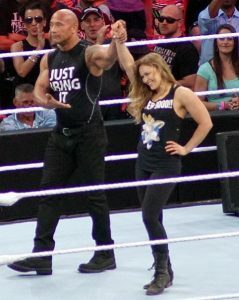 Since then, Rousey has joined WWE’s roster to become a top pro wrestler and has shown an interest in acting, including making an appearance in the 2015 movie “Entourage”. 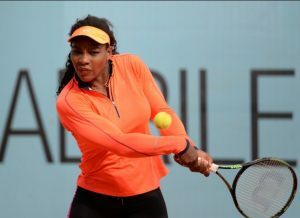 Serena William garnered mainstream attention by dominating the tennis court and is poised to continue her quest to become the greatest in the business. She has won 23 grand slam singles with four consecutive wins in a row, twice. Over the course of her enigmatic career, she has been scrutinized for her body type and has always spoken out against her critics, proving to be a source of inspiration to many impressionable young men and women alike. She became the second black woman to win a Grand Slam title and had always promoted racial equality since. Oh, and she has more Grand Slam titles than any man. Maria Sharapova grew up poor and migrated to the US with only $700 in her pocket and not knowing a word in English. She learned to pick up the tennis racket at the age of 4 and showed incredible talent. Maria would train all day, while her dad worked multiple low paying jobs just to get by. Then at the age of 17, Sharapova’s hard work paid off when she won Wimbledon. Ever since then, she has consistently been the tennis’s top performing players, winning five Grand Slam singles championships. Not only did she pull her family out of a life of poverty but she also broke several barriers, including a sound barrier at Wimbledon with her grunts. Winning the Grand Slam was just scratching the surface.